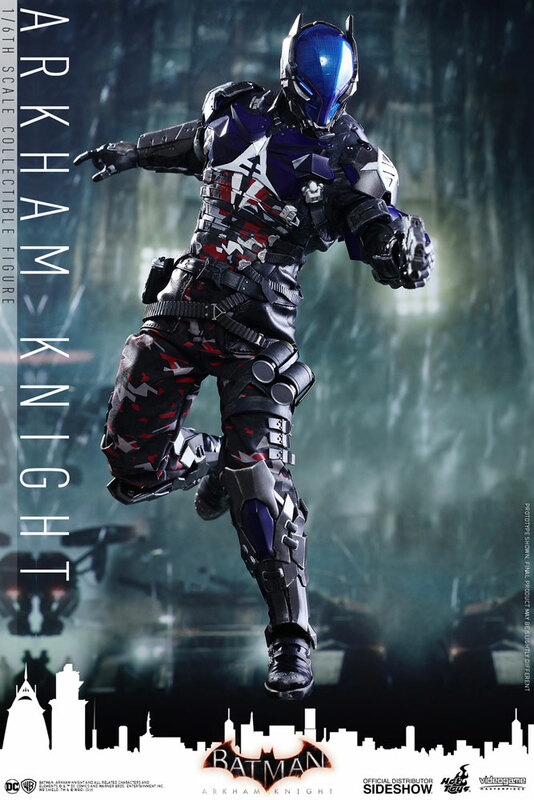 Since the introduction of the highly popular video game, Batman: Arkham Knight, the titular character Arkham Knight has surprised and astonished game fans around the globe! 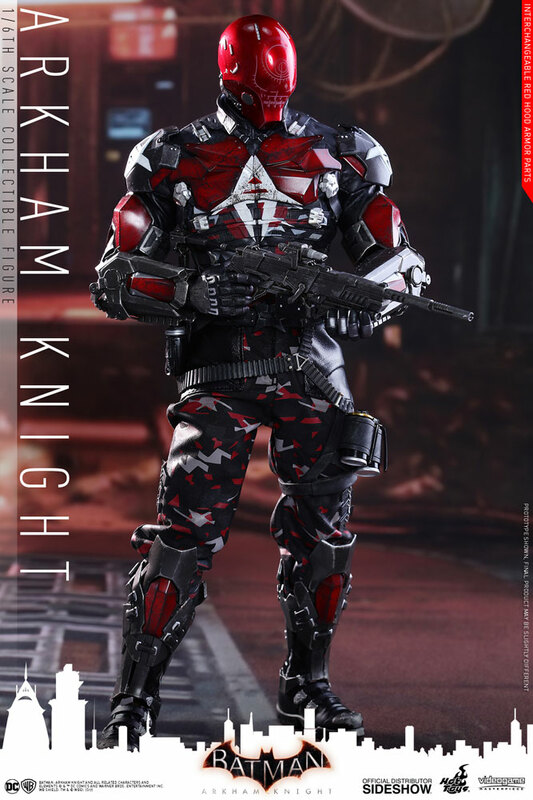 Equipped with a high-tech militaristic battle-suit and weaponry, the mysterious Arkham Knight has quickly earned a fearless reputation amongst the Gotham City criminal world and proved to be a formidable opponent to Batman! 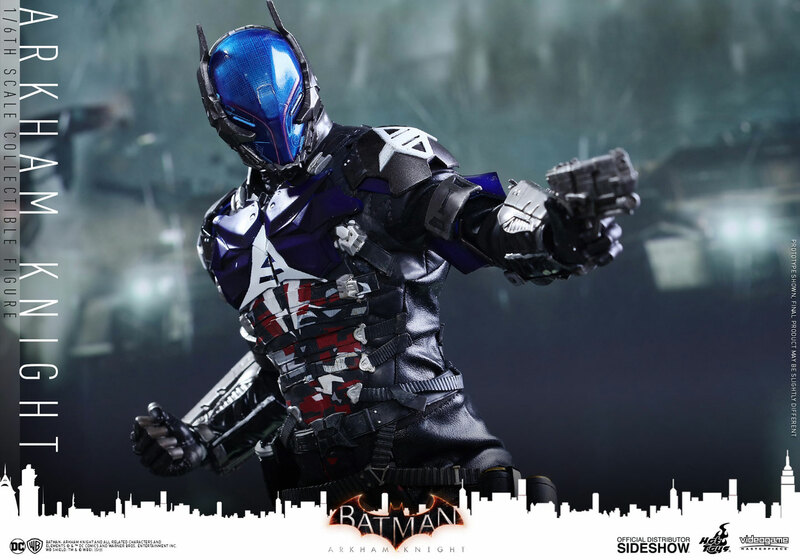 Sideshow and Hot Toys are very thrilled to present the sixth scale collectible figure of Arkham Knight from one of the best-selling video games in recent years! 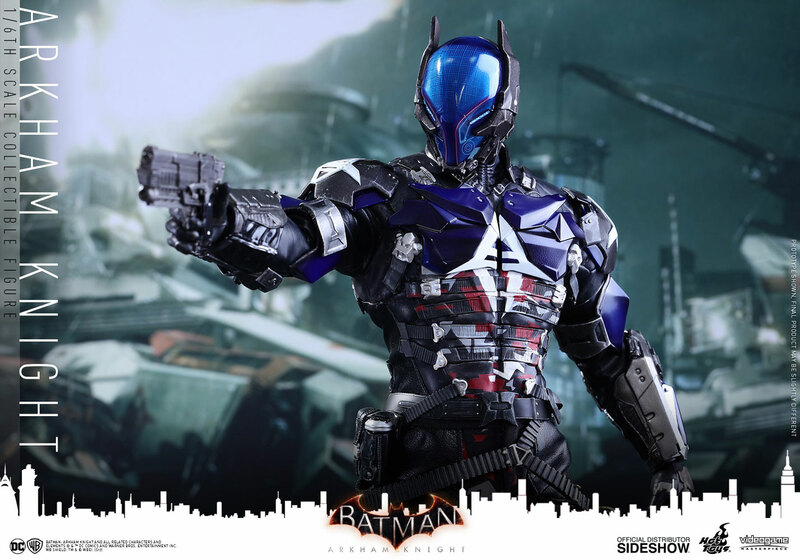 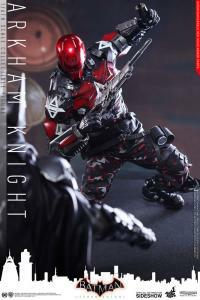 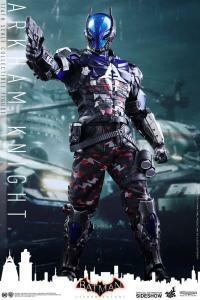 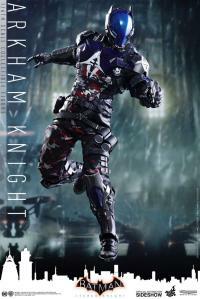 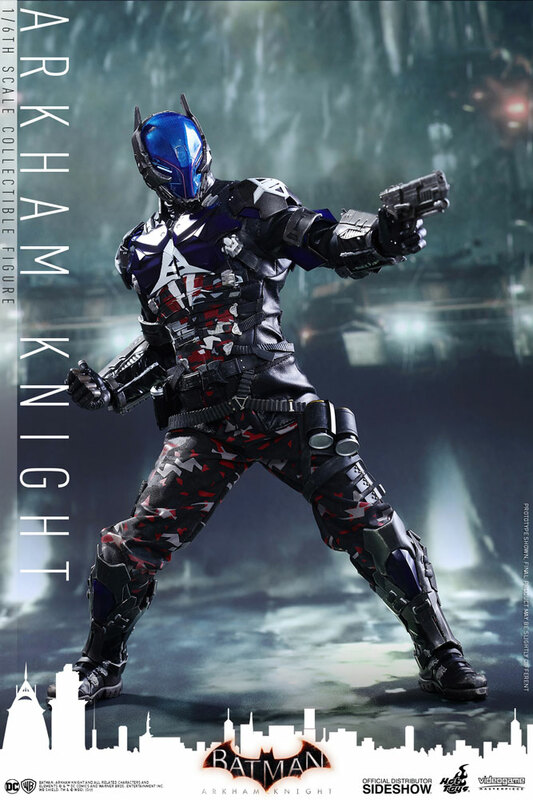 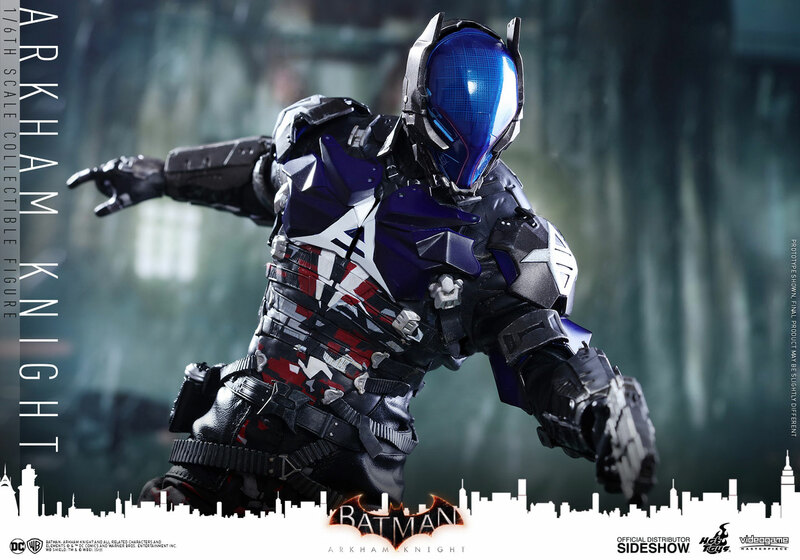 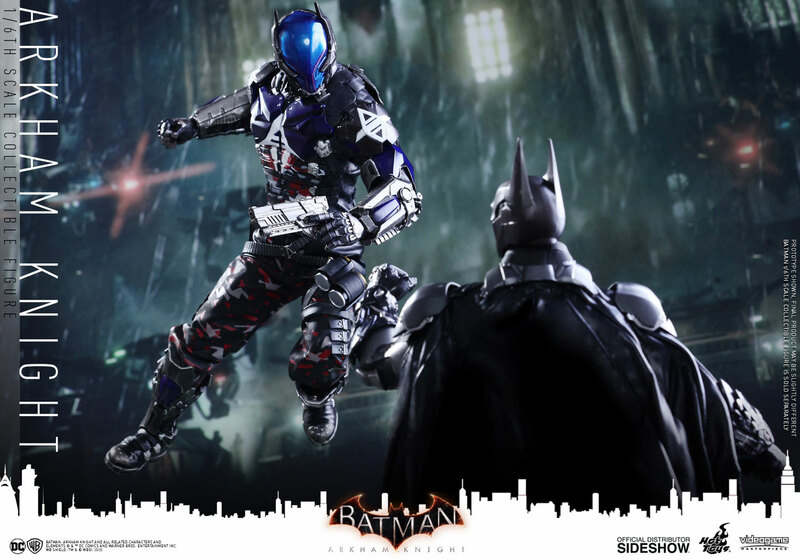 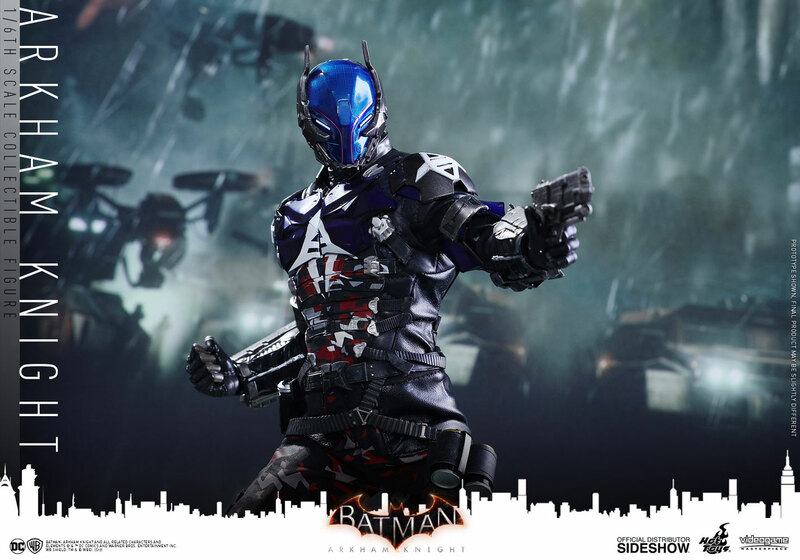 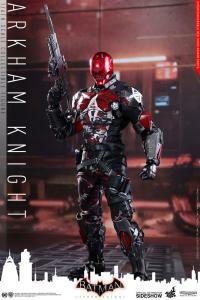 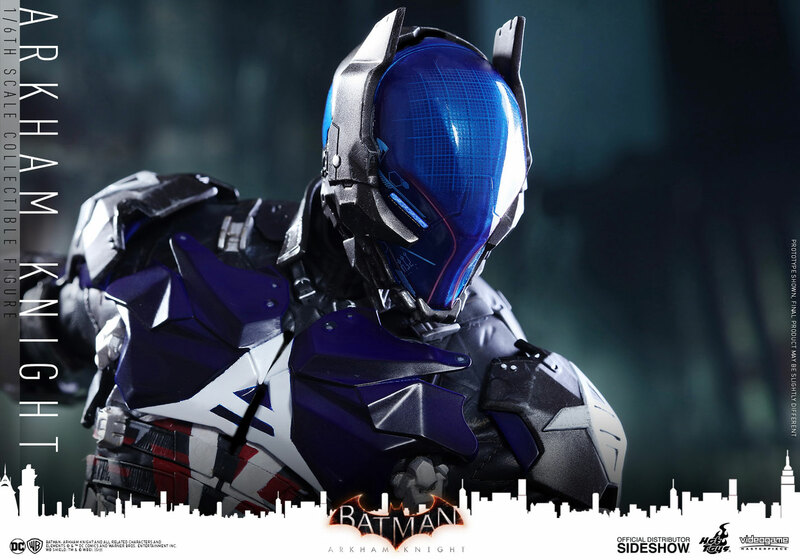 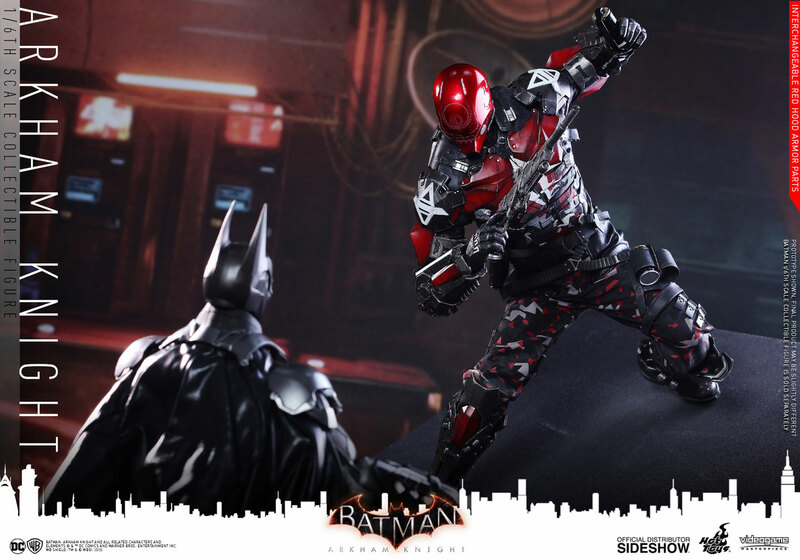 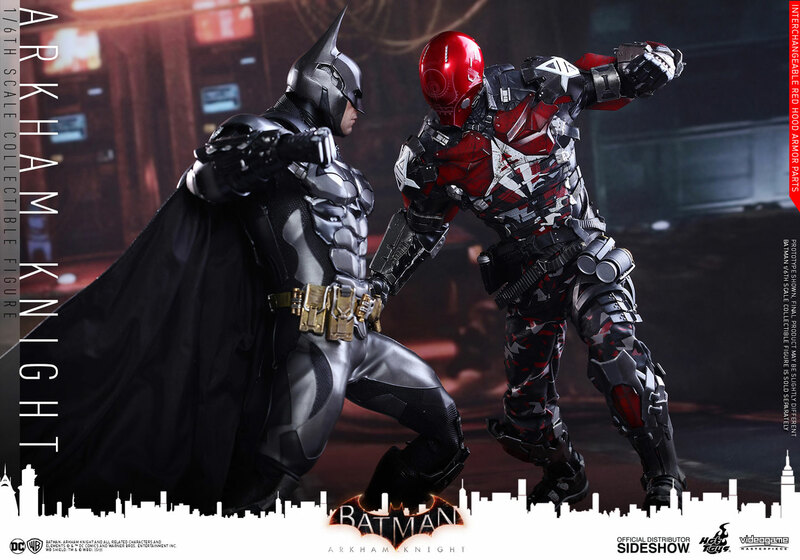 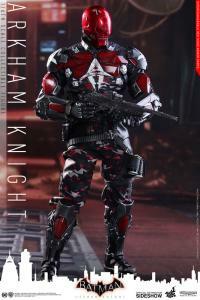 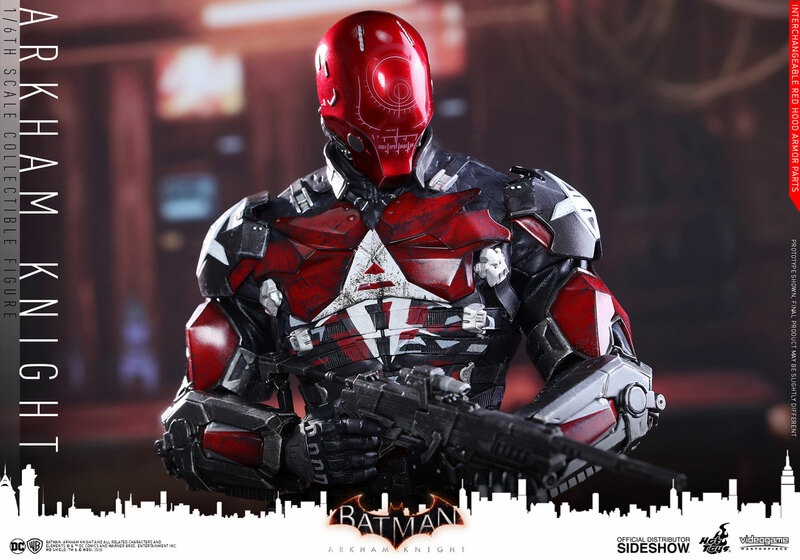 Expertly crafted based on the stylish appearance of Arkham Knight in the game, the collectible figure features a detailed LED light-up helmet, skillfully tailored camouflage battle suit with armor plating, an assortment of handguns and a sniper rifle, and an Arkham Knight themed figure stand with a backdrop! 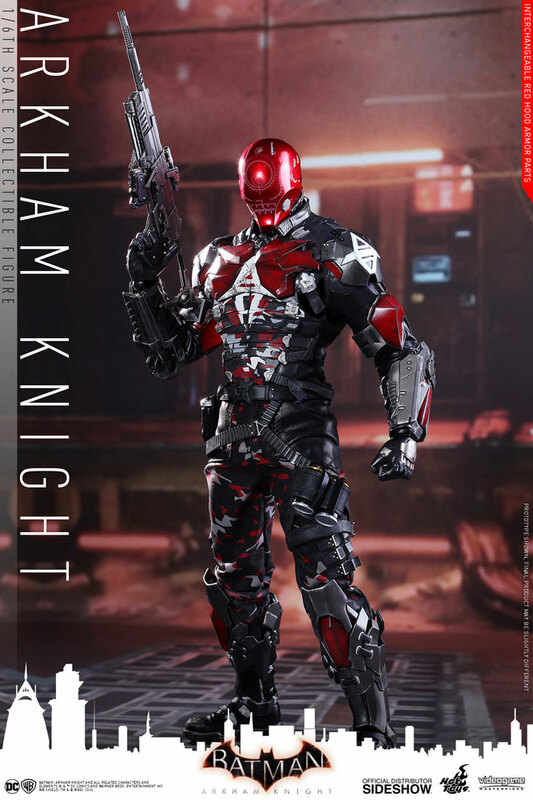 Furthermore, an interchangeable red colored helmet and a set of armor parts are included to transform the Arkham Knight into Red Hood! 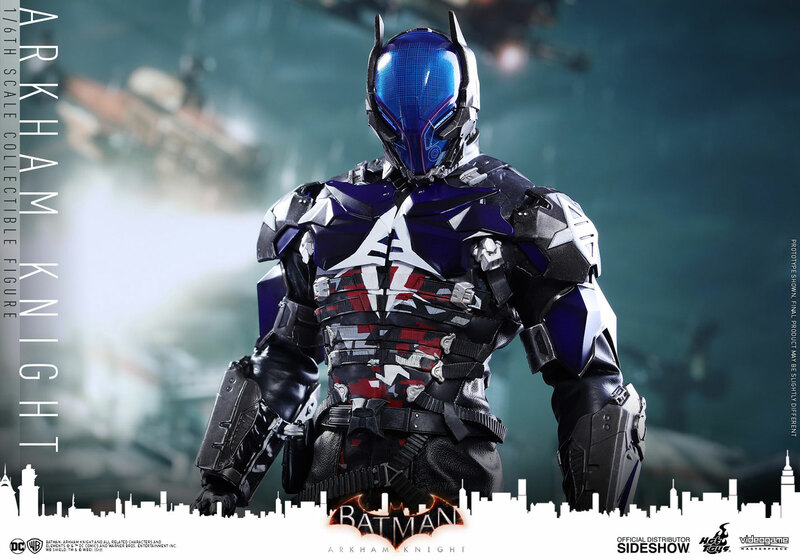 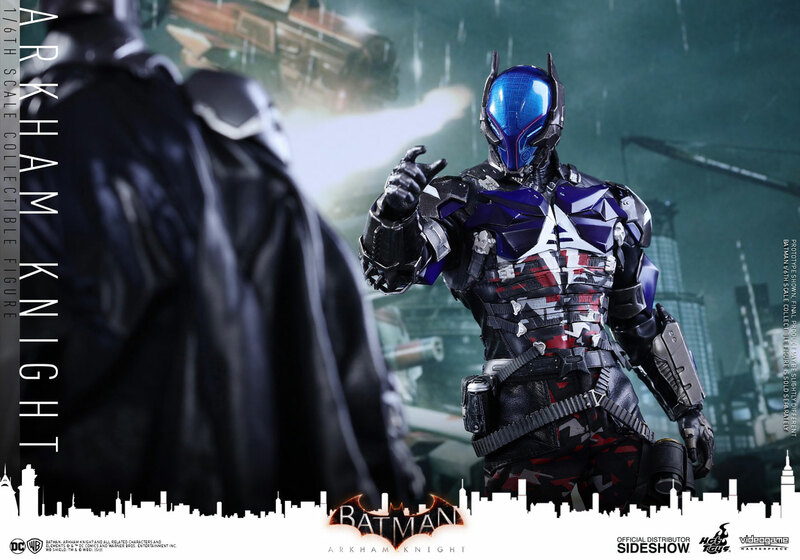 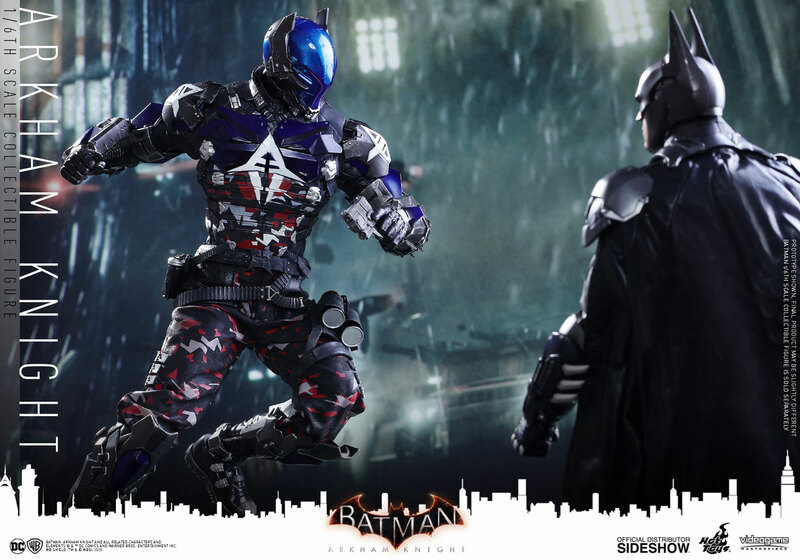 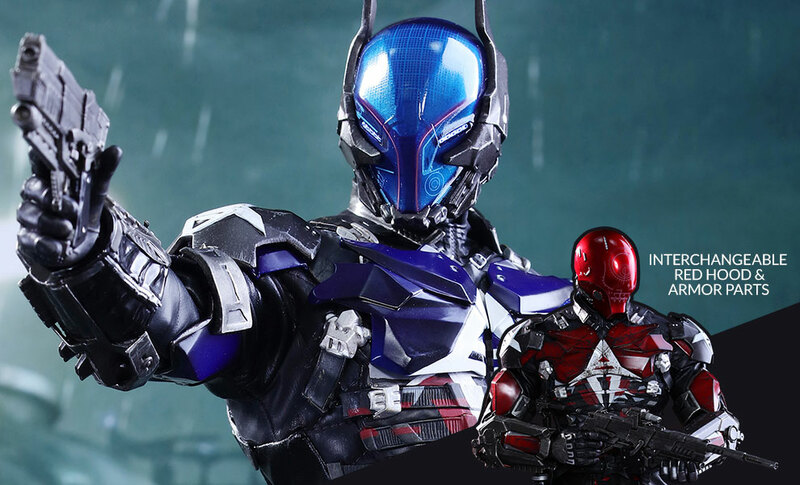 It is time to recruit this insanely cool Arkham Knight to your prized collection! 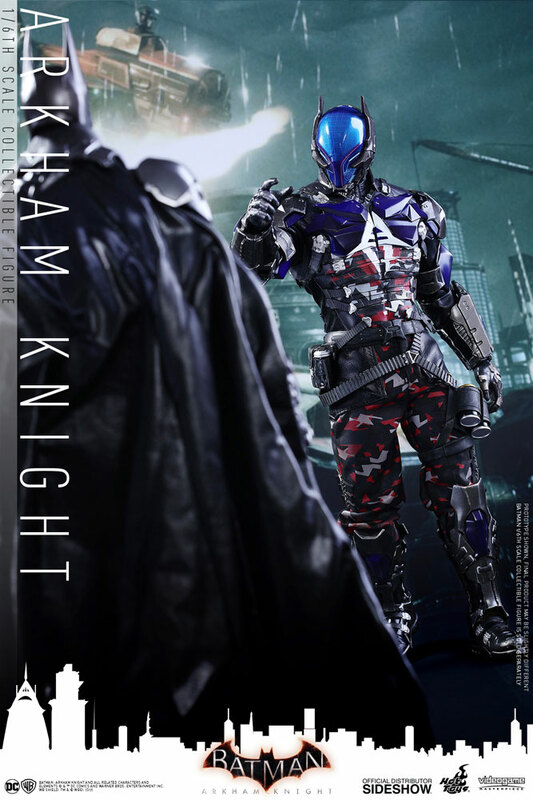 BATMAN: ARKHAM KNIGHT and all related characters and elements (c) & (TM) DC Comics and Warner Bros. Entertainment Inc. (s17) (c) 2017 Hot Toys Limited. All Rights Reserved. Waited what seemed like ages for this figure but it was well worth it. 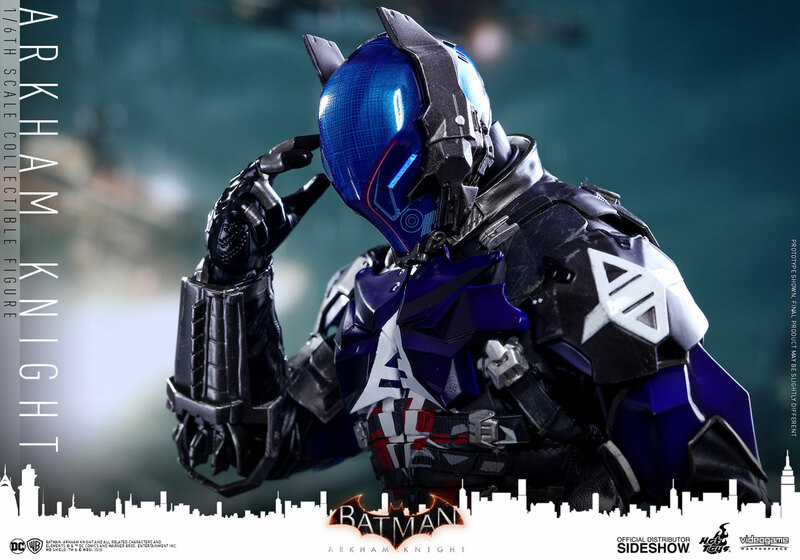 The game was amazing and introduced this new complex character to the mix and I hate to say it but he's cooler than the batman in this iteration. 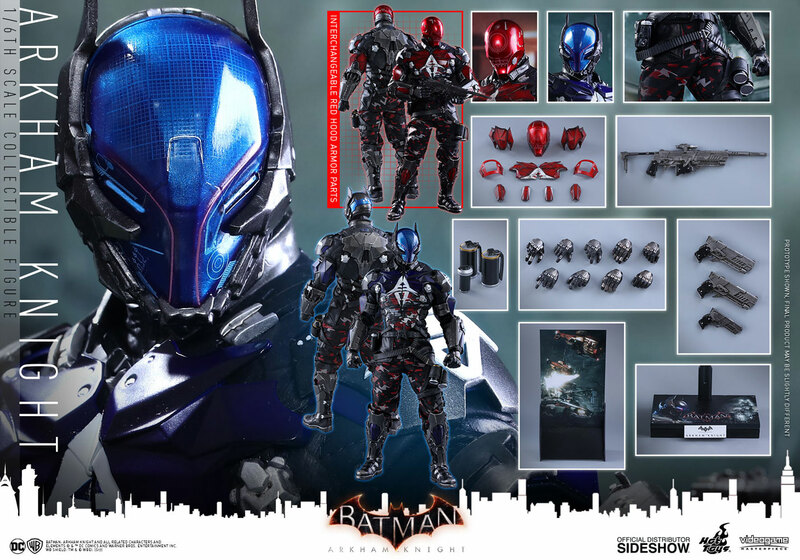 The detail is amazing and you get 2 figures in 1 ! A must buy 10/10. Almost passed on this one, but I'm soooooooo glad I didn't! 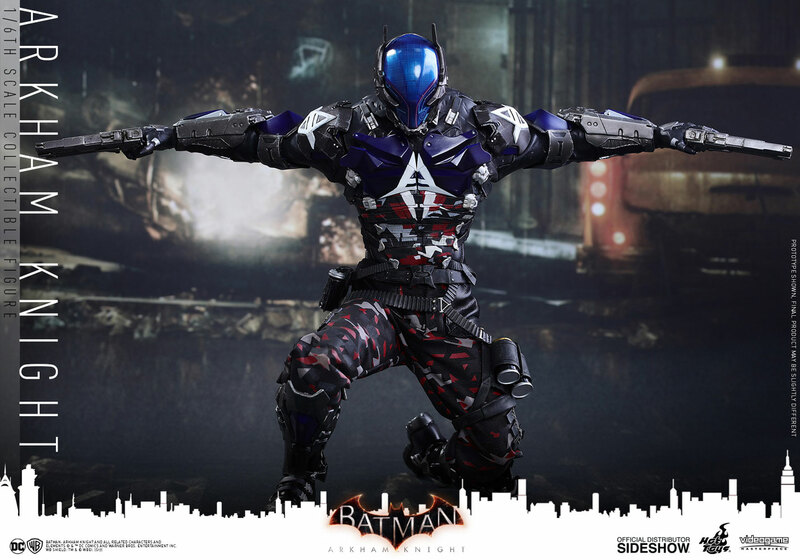 Hands down one of the cooler pieces in my collection. 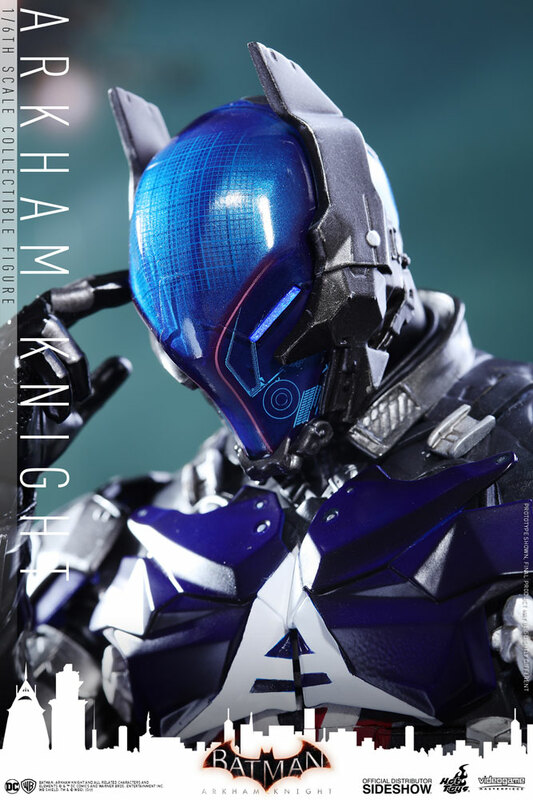 I suggest you pick one up while you still can.